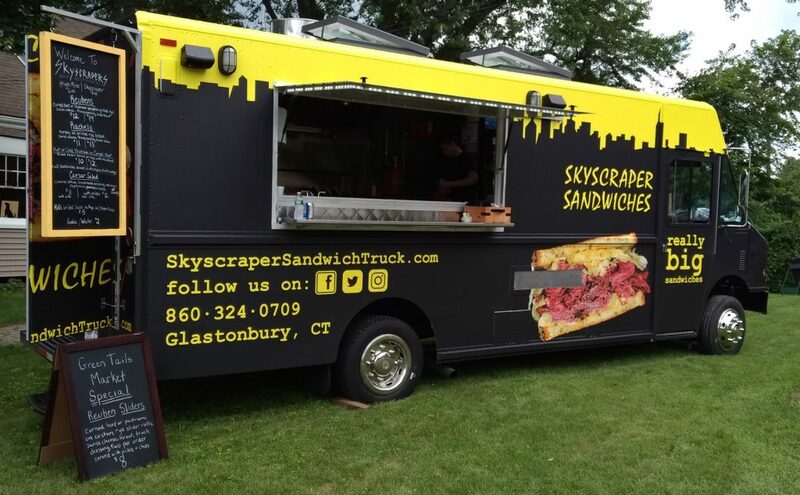 Skyscraper Sandwiches brings amazingly delicious sandwiches directly to people who crave the flavors of a great New York City deli. 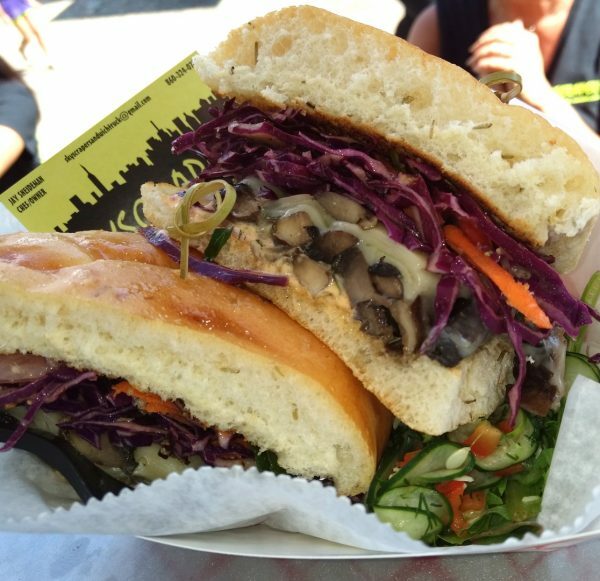 We feature piled-high sandwiches, made fresh to order, and packed with mouthwatering ingredients! Our core menu consists of corned beef, pastrami, Reubens, Rachels, sliders, portabella reubens – all with truck-made dressings. The menu can vary from event to event, and we offer specials throughout the season. We strive to make sure our customers’ appetites and taste buds are completely satisfied. Grilled rye bread, Swiss cheese, truck dressing, sauerkraut. Grilled rye bread, Swiss cheese, truck dressing, House slaw. Our menu can vary from event to event. Follow us on Instagram to see our specials.